What size VoloBlades should I use? 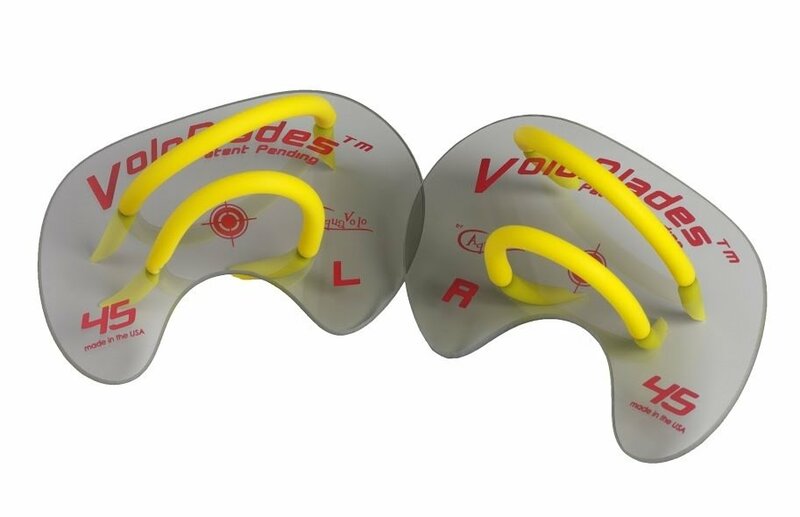 VoloBlades 30 are great for swimmers with smaller hands as well as for breaststroke and sprint. VoloBlades 45 are great for drills and working on basic technique. They can be used for the entire workout, helping swimmers fine tune their feel for the water, promoting a more efficient stroke. VoloBlades 60 are larger and great for power sets. They provide more resistance during the pull phase, developing power and strength.